Recommended to: Readers who are looking for a dark and gritty YA mystery. Ever since she was a child, Ivy has been able to see countdown clocks over everyone's heads indicating how long before they will die. She can't do anything about anyone else’s, nor can she do anything about her own, which will hit the zero hour before she even graduates high school. A life cut short is tragic, but Ivy does her best to make the most of it. She struggles emotionally with her deep love for on-again, off-again boyfriend Myers Patripski. She struggles financially, working outside of school to help her mom and her sister. And she struggles to cope with the murder of her best friend, another life she couldn't save. Vanessa Donovan was killed in the woods, and everyone in town believes Ivy had something to do with it. Then more girls start disappearing. Ivy tries to put her own life in order as she pieces together the truth of who ended Vanessa's. To save lives and for her own sanity. The clock is always ticking. And Ivy's only hope is to expose the truth before it runs out completely. I've said it before, and I'll say it again, Kelsey Sutton's writing never ceases to amaze me. I don't know whether it's the melancholy way that she writes, or the vividly imperfect characters that she creates, but her writing just gets me every single time. 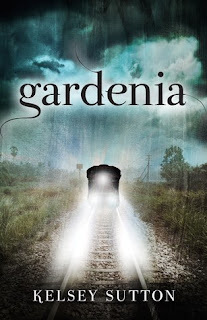 There's a reason why she's an auto-read author for me, and so you'll have to pardon my excitement over Gardenia. While it wasn't exactly what I was hoping for, it was still pretty spot on. Ivy is one of those characters that you have to take with a grain of salt. I say this only because I can see people becoming frustrated with her at the beginning of this story. Trust me when I say that her morose demeanor, and her deeply ingrained inability to let people get close to her, is all for a reason. Imagine that you knew how long you had left. Imagine that you also knew how hard it was on the people you leave behind, when there are loose ends. That should easily give you a glimpse at the person that is Ivy Erickson. Someone who wants but, with good reason, is afraid to want. I honestly felt so much for her, and that's half the reason why I adored this story so much. The other half of the reason was that Sutton quickly wove together a mystery that even I, the master of figuring out things much too quickly, couldn't decode. As Ivy inched ever closer to what she believed was the truth, I kept second guessing whether we were headed the right way. As it turns out, everything I thought I knew was completely wrong. In the best way possible, the ending of this book completely threw me for a loop. I was both amused, and totally impressed. If you're looking for a happy and lighthearted story, I'd recommend that you look elsewhere. If, instead, you're looking for a story that stares death straight in the face, and manages to wrap a pretty stellar mystery up in that, you've found your book. True to Kelsey Sutton's form, this isn't quite what you'd consider a feel good story. This book will make you take another look at your own life, and what you plan to do with the time you have left. I can tell you, it's well worth the journey.